The D-Link AirPremier DWL-2700AP is a 2.4GHz Outdoor Wireless Access Point that conforms to IEEE 802.11b/g standards. The DWL-2700AP covers a large operating distance for Wireless LANs and broadband Internet access with transfer speeds of up to 54Mbps(108Mbps Turbo mode). The DWL-2700AP is ideal for Internet Service Providers to create hot spot networks and provide outdoor users with wireless Internet access. Ideal locations include manufacturing plants, industrial locations, college and high school campuses, airports, golf courses, marinas and many other outdoor venues. The D-Link AirPremier DWL-2700AP is designed to handle any outdoor environment. With die-cast watertight housing and built-in heater with a temperature sensor, the DWL-2700AP is the most robust outdoor AP for enterprise networks. It includes cost-effective Power over Ethernet (PoE) for easy installation. 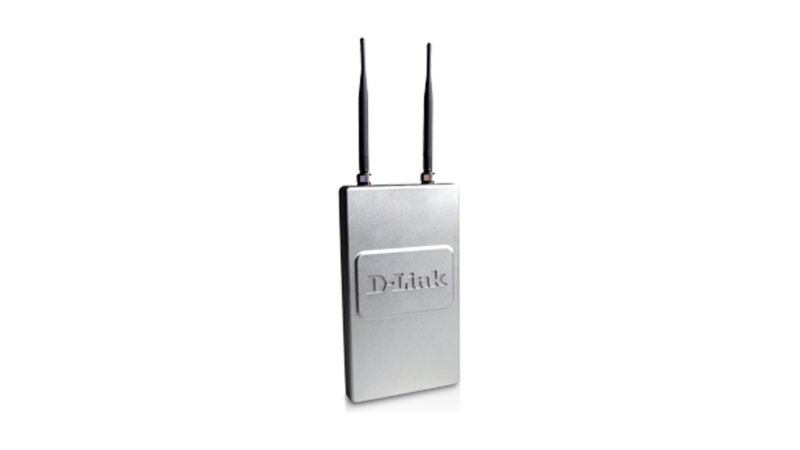 With a variety of high-gain outdoor antennas from D-Link to accomodate your network needs, the DWL-2700AP is ideal for connection networks in different buildings. The DWL-2700AP supports up to 152-bit WEP encryption and AES (Advanced Encryption Standard)*. In addition, IEEE 802.1x network access control for user TM authentication with WPA (Wi-Fi Protected Access) helps provide optimal security. Load balancing and redundancy are also available. The DWL-2700AP is easy to manage with its web-baseduser interface and Telnet configuration. For Enterprise networks, the DWL-2700AP supports SNMP v.3 network administration and real-time network traffic monitoring via D-Link D-View Network Management software. This product was phased out on: 25.3.2016.